The Farm to Table Initiative (FTTI) is a program that allows for fresh, organic food to be grown and given to local restaurants. This program has happened in a few places in Mass. but has been for the most part unacknowledged by businesses, schools and the community. However, Attleboro High School (AHS) has begun its own FTTI, which has been providing greens to their Culinary program. AHS teacher, and head of the Greenhouses as a whole, Mrs. Sandy Copel-Parsons has personally spearheaded the project. “There are politics involved with food, about who has it, who gets it, and it’s sad that we’re like that in the year 2014, but that’s just the way it goes,” said Copel-Parsons, who hopes programs like these can help fix that. Copel-Parsons and AHS botany teacher Mr. Greg Finale plan to grow cucumbers and tomatoes in the spring, when the sun is out longer and the greenhouse is more easily heated. The other people working on FTTI are AHS history teacher Mr. Ari Weinstein and AHS chef Kevin Deschenes. They each bring more awareness to the FTTI, and some support to the upkeep of the plants and greenhouses. Despite these efforts, the greenhouse and greens for FTTI are mostly watered and cared for by Copel-Parsons, requiring her to drive to the greenhouse to water even on vacations. 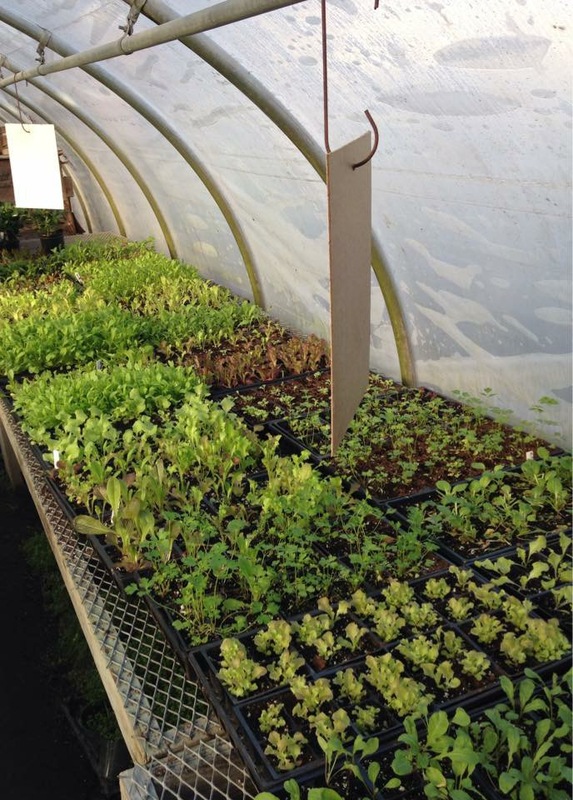 Copel-Parsons recounted a time she had to sacrifice her time to keep the greenhouse afloat. “I remember getting in a load of plants on the eve of our Feb. vacation and leaving for Mexico the next day for a week. I couldn’t leave all the seedlings. Copel-Parsons hopes to soon create an automated watering system for the greenhouse so it can be left unattended on weekends and vacation days. This entry was posted in Events & Activities, Home, In & Around AHS, Teen Interest and tagged 2014-15, AHS, Attleboro High School, Charley N. Jones, Farm to Table Initiative, FTTI on February 27, 2015 by abeeahs.